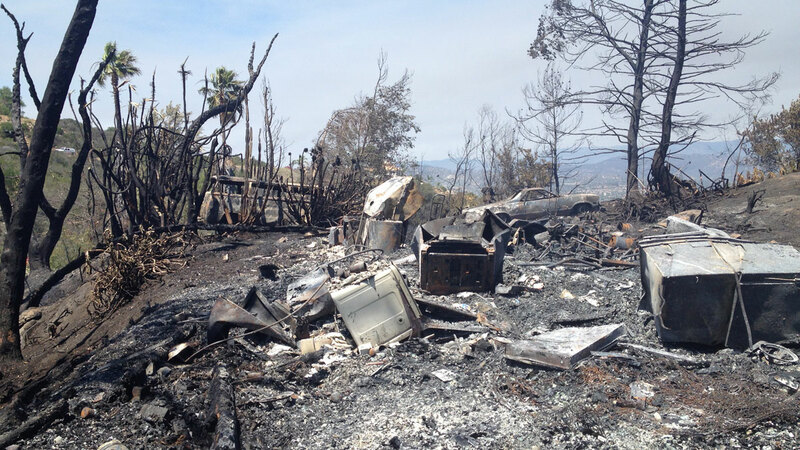 The path of destruction from the Bernardo Fire that slithered through canyons without burning a single structure on Tuesday, May 13, 2014. As of Saturday, six major wildfires were burning in San Diego County, scorching an estimated 25,000 acres - most on Camp Pendleton, Cal Fire officials said. For many San Diego residents, the most nerve-wracking day was Wednesday when nine fires were burning at one time. 2:39 p.m. Fire burning in Escondido is out. 4:35 p.m. All neighborhoods south of San Marcos Blvd. are evacuated. 5:10 p.m. Fire is reported in Scripps Ranch at Scripps Ranch Boulevard and Canyon Lake Drive. Homes are evacuated. 5:29 p.m. By now, schools in at least 20 local districts have announced they will be closed Thursday. 6:02 p.m. Wildfire sparks in Lakeside near Aurora Drive and Interstate 8 Business. Nearby residents told to evacuate. 6:47 p.m. Escondido Fire Dept. warns residents to call 911 only if they see flames, reminds them the “smell of smoke” may be from San Marcos fire. 10:15 p.m. Carlsbad residents in the southern portion of evacuation area are allowed to return. Those near area east of El Camino Real, south of Alga Road. 4 p.m. Rangers are closing the trails around Lake Hodges, Del Dios Gorge, and San Pasqual Valley. 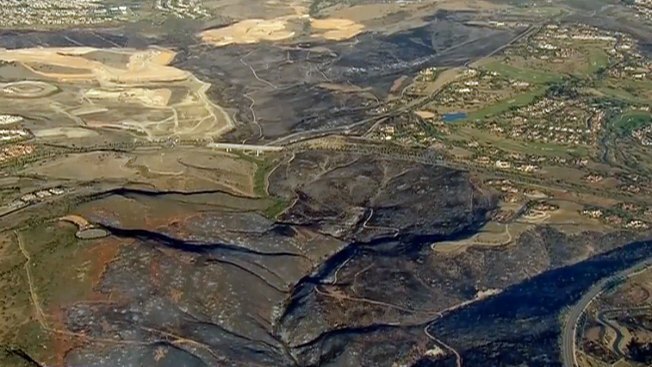 6:43 p.m. Evacuations in Carlsbad are all lifted. “Everyone can go home,” city Tweet says. Times listed are based on social media posts made by @nbcsandiego, @readysandiego, @carlsbadcagov , @escondidopolice, @escondidofdnews, @CalFireSanDiego, and @sdsheriff.